The Sri Lanka Podujana Peramuna (SLPP) yesterday criticised the possibility of President Maithripala Sirisena seeking the Supreme Court’s opinion on the length of his term, as a step that would delay elections indicating talks between the SLPP and Sri Lanka Freedom Party (SLFP) to form a coalition were not proceeding smoothly. 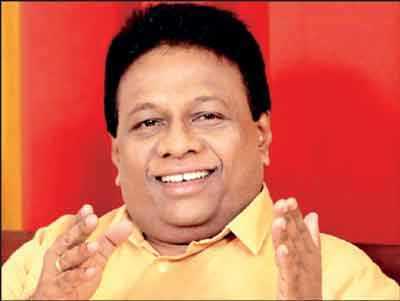 SLPP faction member Dullas Alahapperuma expressed his displeasure on the SLFP’s statement on seeking the opinion of the Supreme Court while talking to media after the third round of talks with the SLFP on a possible collation to face upcoming elections. “This is a misleading statement. If this is done it could lead to a postponement of elections. We do not want any delays we want polls to be held on time,” he told reporters at the Opposition Leaders office yesterday. SLPP Chairman Prof. G.L. Peiris also said he too would go before court if any party tries to delay the Presidential Election. “It is a violation of our democratic rights, therefore we will not hesitate to take legal actions against those who try to delay any election,” he said. The latest round of talks between the SLFP and SLPP on the proposed political alliance against the United National Party (UNP) ended with mixed results, with both parties expressing contradictory views on recent political developments. The SLPP was also critical of the SLFP’s decision to abstain during the Budget vote on 5 April. Speaking to reporters, Prof. Peiris expressed his displeasure over the SLFP’s decision and questioned their intention of forming an alliance against the UNP. He noted SLPF’s behaviour during the Budget vote had dented the trust between the two parties. “SLFP’s decision indirectly supported the UNP and its Budget,” he charged. Prof. Peiris said members of SLPP had questioned the possibility and practicality of forming a political alliance with a political party that chose to be absent during the final vote on the Budget. “Following the second reading of the Budget, the SLFP agreed to vote against it in the final vote but they failed to deliver on this promise. Therefore we told them such contradictory steps is not good for the progress of the discussion,” he added. However, MP Thilanga Sumathipala justified SLFP’s decision to abstain from voting as the Budget included expenditure heads for the President. “How can the SLFP vote against its own President and the chairman of the party? We were in a situation where we could not vote in favour of UNP nor could we vote against the President,” he added. The discussion commenced at the Opposition Leader’s Office with the participation of representatives of both parties. The discussion was held for more than one hour, with the next meeting to be on 9 May. SLFP General Secretary MP Dayasiri Jayasekara, Prof. Rohana Lakshman Piyadasa, and MP Thilanga Sumathipala represented the SLFP camp. Prof. Peiris, Senior Lecturer Jagath Wellawatte, and Joint Opposition (JO) National Organiser MP Dullas Alahapperuma represented the SLPP camp. Following the discussion, MP Jayasekara told media the talks ended on a positive note, as both parties were able to find common ground to formulate policies that they could agree upon. “We will inform outcomes of this discussion to the central committee and SLPP will to the same. Once we get the approval we will be able to provide that information to media and the public,” he added. He noted a separate discussion would be held with leaders of both parties parallel to the current talks. He pointed out the new set of decisions would be held within the next few weeks to analyse recent political developments.